The simple little infographic offers up an interesting selection of ideas on what we can expect to see happen in the world of food and drink in 2017. 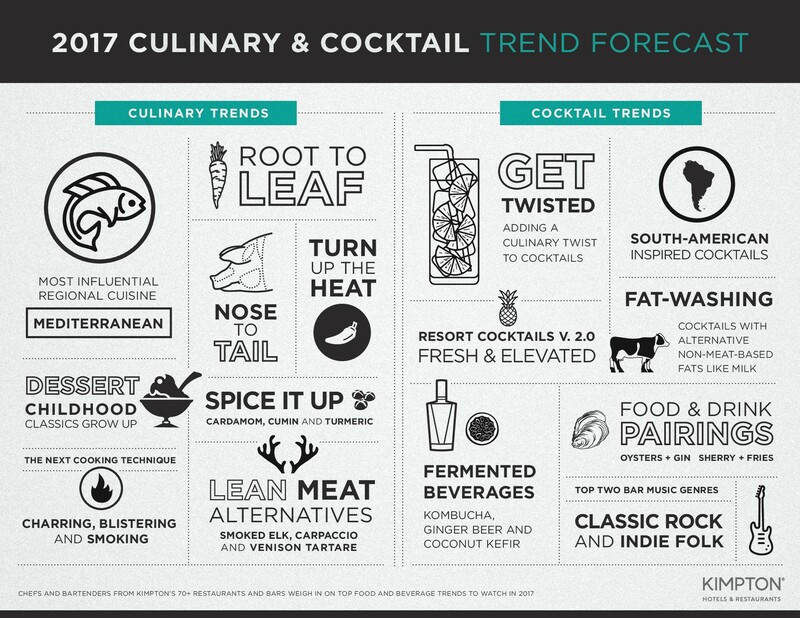 Mediterranean food, root to leaf, signature cocktails and extra kicks of spice are all suggested on the chart. There are around 15 different ideas, some interesting and offers an extension of what we’ve already seen happening in 2016, such as smoking meats.